Diesel: Happy Lunar New Year! 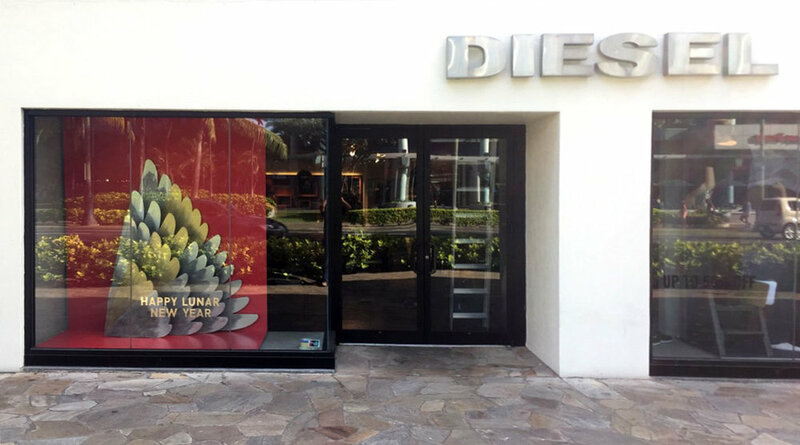 — Geoff Howell Studio Inc.
Diesel: Happy Lunar New Year! In celebration of the Lunar/Chinese New Year, for various locations of Diesel stores nationwide, we created these sculpted aluminum multi-layered and hand-colored wings as well as masks for the mannequins. Happy Year of the Rooster!